After a much long needed break from the blog, I am finally back. It’s been quite some time that I have wanted to write a post on body confidence and finally here it is. It’s probably one of the reasons that I decided to become a life coach – to help people accept themselves for who they are, and help them gain that little bit of confidence. I’ve been there and it’s a constant mind battle of always questioning yourself endlessly. While I absolutely love social media and thank my lucky stars for the opportunities and friendships made, there is also a very sinister and dishonest side to it. We are constantly being flaunted with this perception of the ‘perfect body’ through images that have been altered with tag lines that don’t really convey the truth. The word ‘diet’ is thrown around so carelessly; that I always wonder what it must be like for young girls growing up – I know for a fact the pressure is way stronger today than it was. It is for this reason I wanted to write a few tips to help with body positivity. Body confidence isn’t about the size and shape that you are but simply about embracing and accepting you as you are. It’s about recognising that all bodies in all shapes, skins, sizes are simply of equal value and just as beautiful as they are. Accept your flaws and don’t beat yourself up about. Find one feature that you truly love – yes there is plenty so don’t hold back and remind yourself you are beautiful. Learn to love your perfect imperfections because that’s what makes us unique. Yes cellulite is bloody normal! There is nothing wrong with self love and taking care of yourself. What ever makes you feel good is always a good idea. Make up is there to enhance your beauty not used to cover yourself and hide behind a mask. Fashion is there to make you feel good and to have fun – not to hide underneath big baggy clothes. 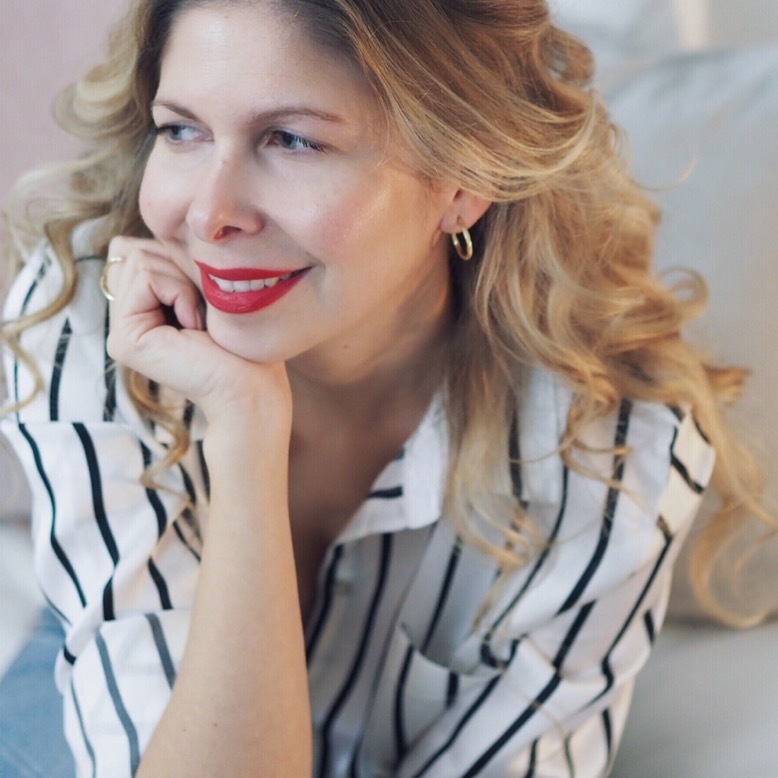 Do what makes you have that teeny bit more confidence – get your hair done, have a massage, get your nails done – sometimes we need a few frivolous things to make us feel good. Also always make time for yourself regardless. Meditate, read a book, go for that walk whatever makes you happy. Helping you feel better about yourself is the step in the right direction. The word exercise can scare many people – so I always say why not do something that you really enjoy and that makes you feel good! Whether you love walking, cycling, boxing, going to the gym then do it for mind positivity. There is so much pressure on social media about fitness and diets that it drives me crazy. If you workout intensely and become obsessed with wanting to lose weight and cut everything that you love, you will end up resenting it and that will not help you in feeling good about yourself. Instead look at it as doing something that helps you to be fit and more powerful where your body becomes your friend. The human body is so beautiful and magical that it really is a blessing – treat it with care and don’t be so harsh. Body positivity starts with what we feed our brain with. I truly believe that what we expose ourselves to, affects the way we feel. If you find yourself feeling down looking at certain accounts on social media then unfollow. Don’t follow anyone that makes you feel bad about yourself. Remember not everything that you see is real so start following accounts that make you feel good. Same goes with what you read and watch on tv. Everything we take in affects our well being so start from eliminating the negative impact. Who you surround yourself with is fundamental. You want people to be rooting for you, to have that support and who you can count on. People who have dreams, desires who will help you find your own and push you towards your own ambitions. A positive group of friends does wonders for your self being, it’s probably one of the most important aspects in helping you gain self confidence. Eliminate the toxic people in your life, the ones that bring you down and the ones that make you not feel good about yourself. It’s the first step into the right direction. Who you follow on social media also relates to this point. Don’t compare yourself to other people. We are all unique and different and ones perception of beauty doesn’t make them better than you. The moment you accept yourself for who you are with your strengths and weaknesses is the breakthrough moment. There is no such thing as perfection and we are always so hard on ourselves. Talk to yourself as if you are talking to someone you love, don’t be harsh but kind and learn to appreciate the things that make you unique, treat yourself as your own best friend. Try and be the best version of yourself. Remember what you see for example on social media isn’t necessarily ‘real life’, remember you are seeing a curated version of their life. They too could be going through all sorts behind closed doors. Basically don’t think they have it better than you! It’s so easy to get caught up and complain about how our bodies don’t look a certain way. But how about we change our way of thinking and actually start reminding ourselves how magical our bodies really are, and the things it can do. Whether its your legs that carry you around on endless journeys, your tummy that carried a human life, your arms that hug the people you love in your life, where you make them feel good about themselves. The accomplishments are endless, you just need to remind yourself. They say it is so British not to accept a compliment – we just love nothing more to brush it off and down play it. I used to always provide a justification when being complimented – it was like I wasn’t worthy enough so I couldn’t possibly accept it without providing an excuse. Accepting a compliment is not easy and it takes practice and time. Really force yourself to simply say ‘Thank you’ with no ‘buts’ or ‘ifs’… slowly you will eventually believe those compliments because you really are worthy of them. Swimsuit by Love Stories Intimates designed by Lucy Williams.